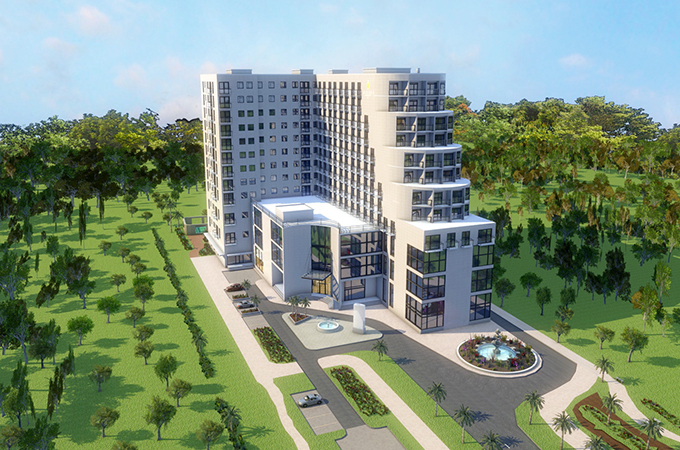 Mövenpick Hotels & Resorts is set to open a 210-room hotel in Bangladesh in the third quarter of 2018. The business and leisure hotel will feature a retail wing and is located in one of Bangladesh's main commercial and tourism centres in the northeast of the country. Sylhet, known as the “land of boundless beauty”, is considered one of the most spectacular tourism destinations in Bangladesh. The scenic city is surrounded by tropical forests, such as the Lawachera Rainforest. Guests at Mövenpick Hotel Sylhet Bangladesh will be able to relax in the rooftop infinity swimming pool and indulge in signature treatments at the spa. A fitness centre, tennis court and bowling alley complement the adjacent shopping area, which covers 12,600 sqft of retail space. In addition, the hotel will feature an all-day dining restaurant, speciality bistro and lounge. With a well-equipped business centre and the city’s largest meeting rooms, the hotel will also appeal to the growing number of business travellers. Mövenpick Hotel Syhlet Bangladesh is just a few minutes from Sylhet Osmani International Airport. The destination’s verdant landscape of rolling hills and streams offers numerous opportunities to explore nature. Pangthumai Waterfall is referred to as the Amazon of Bangladesh, while Jaflong hill station is famed for its stone collections and being home to the Khasi tribe. The city also boasts the largest tea garden in the world, at Srimangal.